World Scientific Publishing Co., New Jersey - London - Singapore, 2010. Stability of the orthogonal additivity, Bulletin of the Polish Academy of Sciences, Mathematics 43 (1995), no. 2, 143-151 (wspólnie z Romanem Gerem). On the Cauchy equation on spheres, Annales Mathematicae Silesianae 11 (1997), 89-99 (wspólnie z Romanem Gerem). Differentiable solutions of a functional equation related to the non-power means, Aequationes Mathematicae 55 (1998), 146-152. Note on a functional equation related to the power means, Mathematica Pannonica 11/2 (2000), 199-204. Orthogonal stability of the Cauchy equation on balls, Demonstratio Mathematica 33/3 (2000), 527-546. On a functional equation related to power means, Aequationes Mathematicae 66 (2003), no. 3, 261-276. Orthogonal stability of the Cauchy functional equation on balls in normed linear spaces, Demonstratio Math. 37 (2004), no. 3, 579-596. On mappings preserving equilateral triangles, Journal of Geometry 80 (2004), no. 1-2, 209-218 (wspólnie z Tomaszem Szostokiem). Stability of the preservation of the equality of distance, Journal of Mathematical Analysis and Applications 311 (2005), 209-217. Generalized orthogonal stability of some functional equations, Journal of Inequalities and Applications 2006, Art. ID 12404, 23 pp. On a functional equation based upon a result of Gaspard Monge, Journal of Geometry 85 (2006), 1-6 (wspólnie z Claudim Alsiną i Maciejem Sablikiem). On mappings preserving equilateral triangles in normed spaces, Journal of Geometry 85 (2006), 149-156 (wspólnie z Tomaszem Szostokiem). On the equation of the ρ-orthogonal additivity, Commentationes Mathematicae 47 (2) (2007), 171-178 (wspólnie z Claudim Alsiną i M. Santos Tomás). Sandwich theorems for orthogonally additive functions, Inequalities and Applications, International Series of Numerical Mathematics, vol.157 (2008), 269-281 (wspólnie z Włodzimierzem Fechnerem). Generalized stability of the Cauchy and Jensen functional equations on spheres, Journal of Mathematical Analysis and Applications 345 (2008), 650-660. On two conditional Pexider functional equations and their stabilities, Nonlinear Analysis 70 (2009), 2673-2684. On a pexiderized conditional exponential functional equation, Acta Mathematica Hungarica 125 (3) (2009), 287-299. Exponential functional equation on spheres, Applied Mathematics Letters 23 (2) (2010), 156-160. On a conditional exponential functional equation and its stability, Nonlinear Analysis 72 (2010), 2923-2934 (wspólnie z Januszem Brzdękiem). 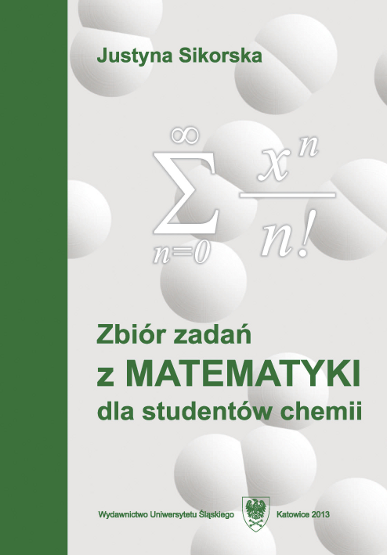 On the stability of orthogonal additivity, Bulletin of the Polish Academy of Sciences (Mathematics) 58 (2010), 23-30 (z Włodzimierzem Fechnerem). On a direct method for proving the Hyers-Ulam stability of functional equations, Journal of Mathematical Analysis and Applications 372 (2010), 99-109. Variations on the Drygas equation and its stability, Nonlinear Analysis 74 (2011), 343-350 (wspólnie z Gian Luigim Fortim). On a Jensen-Hosszú equation, II, Mathematical Inequalities and Applications 15 (2012), 61-67 (wspólnie z Zygfrydem Kominkiem). On a separation for the Cauchy equation on spheres, Nonlinear Analysis 75 (2012), 6306-6311 (wspólnie z Włodzimierzem Fechnerem). 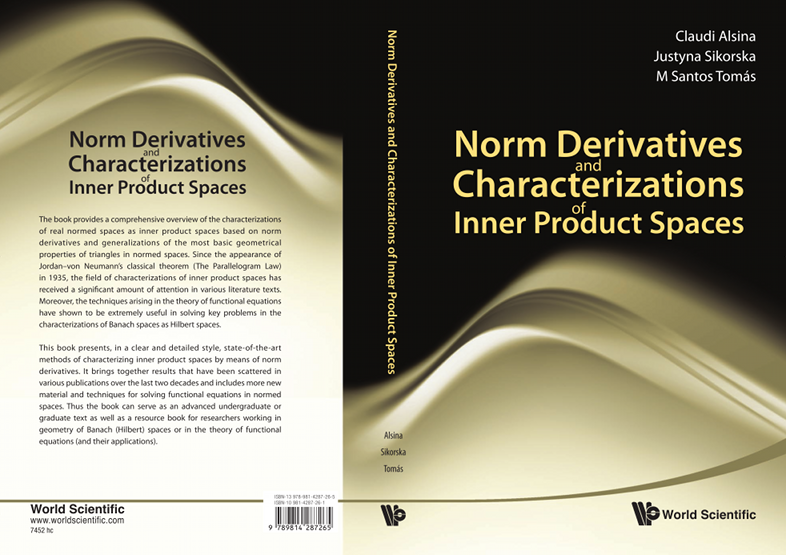 Hyperstability of the Fréchet equation and a characterization of inner product spaces, Journal of Function Spaces and Applications, Volume 2013 (2013), Article ID 496361, 6 pp. (wspólnie z Anną Bahyrycz, Januszem Brzdękiem, Magdaleną Piszczek). Orthogonalities and functional equations, Aequationes Mathematicae 89 (2015), 215-277. Recent developments of the conditional stability of the homomorphism equation, Banach Journal of Mathematical Analysis 9/3 (2015), 278-327 (wspólnie z Januszem Brzdękiem, Włodzimierzem Fechnerem i Mohammadem S. Moslehianem). Set-valued orthogonal additivity, Set-Valued and Variational Analysis 23 (2015), 547-557. Alienation of the logarithmic and exponential functional equations, Aequationes Mathematicae 90 (2016), no. 1, 107-121 (wspólnie z Zygfrydem Kominkiem). A singular behaviour of a set-valued approximate orthogonal additivity, Results in Mathematics 70 (2016), no. 1-2, 163-172. On a method of solving some functional equations for set-valued functions, Set-Valued and Variational Analysis (2017); https://doi.org/10.1007/s11228-017-0465-0. On an equation of Sophie Germain, Results in Mathematics (2018) 73: 60; https://doi.org/10.1007/s00025-018-0820-y (wspólnie z Radosławem Łukasikiem i Tomaszem Szostokiem).